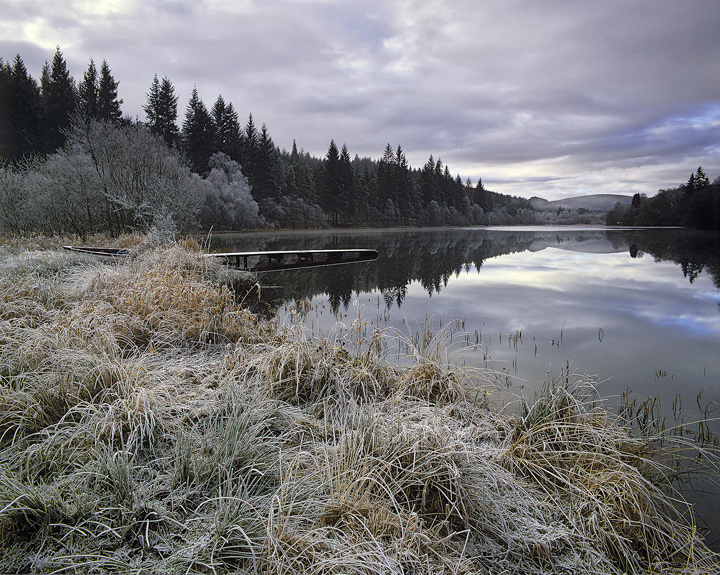 Frosty Loch Ard Loch Ard, Aberfoyle, Scotland. Winter tends to drain most colours from the land combine it with a good hard frost and the thin white coat dilutes existing colours to mere pastel shades. I like this muted palette and find film responds very well to it subtlely bringing out any hint of tonality however faint. The air of serenity and stillness is nicely conveyed by the mirror reflection of a gentle sky in the surface of the loch.